Macrophage with bacteria. 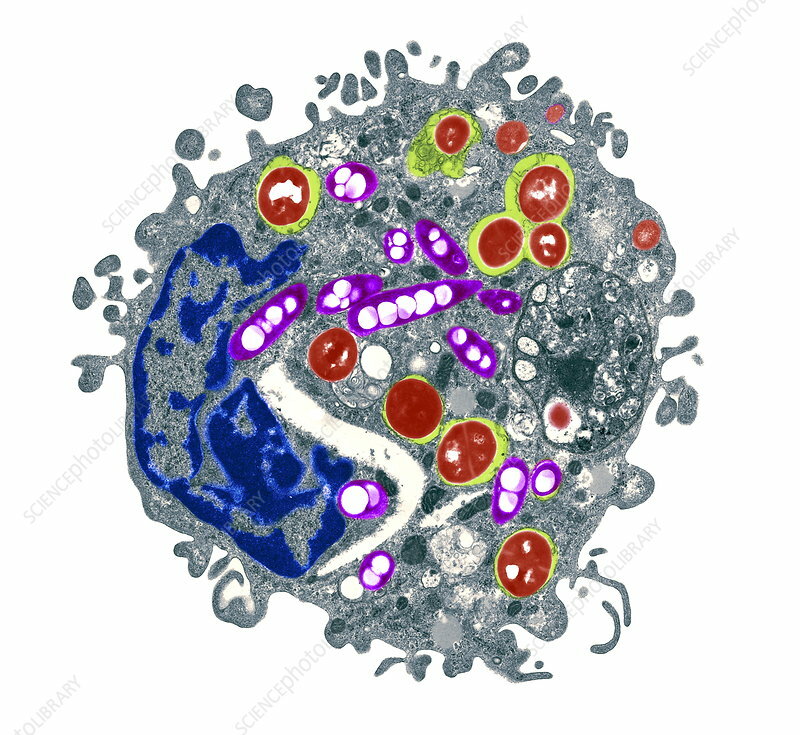 Coloured transmission electron micrograph (TEM) of a lung macrophage that has engulfed some Legionella pneumophila bacteria (white areas in purple). Macrophages are scavenger cells found at sites of infection; they remove bacteria or other foreign bodies from blood or tissue. The macrophage's nucleus (blue) is on the left, while other bacteria (red and yellow) are also visible. L. pneumophila is responsible for Legionnaire's disease, an acute respiratory disease, which is characterised by severe pneumonia, headaches and a dry cough. Human infection occurs through contaminated water in air-conditioning or shower systems.